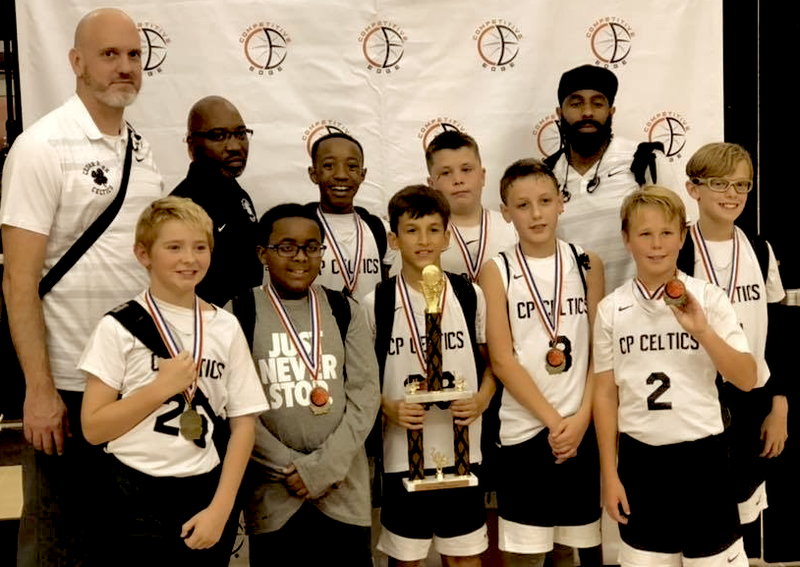 Congrats to our 6th Grade Boys Select Team for winning the 2018 CE League against the Austin Vipers black team and our 5th Grade Boys Select Team against Cyfair Elite. Congrats to our 6th Grade Select Group for winning the 2018 PAC Turkey Classic against strong Waco Warriors and Centex Attack teams. Congrats to our guys for our win over TJ Ford Bulls in the CE League 5th/6th Division and our 2nd Place in 6th Grade Division! Congrats to our 5th Grade Black team for going undefeated this weekend at the PAC Memorial Hoopfest! This marks the end to our 2018 Spring Season. Looking forward to a great summer! I cant recommend this camp enough. Most of our players have been attending together for the last couple of seasons. Coach Brown and Faulkner do a great job! Congrats to our 5th Grade Grey team for taking the championship at the 2018 PAC Hardwood Classic this past weekend. Keep up the hard work! Congrats to all of our teams for their big wins this past weekend, and the conclusion of our best season yet! Our three teams in the CPYL grew tremendously with our Green team winning the Consolation Bracket and the Black team going undefeated and winning the Championship. Special thanks to Sonny Wilson of Next Level in Burnet, TX for hosting the 2nd Annual Kings and Queens of the Court. Although we didn't get the 1st place trophy, our teams played hard and improved their game this weekend. Onward! Lost by 1 in the Championship Game. We will get em' next time. Congrats to both of our teams for the big wins this past Sunday and for winning the 5th Grade Select Championship. Good times last night with the Austin Spurs. Thanks for having us. Parents/Players .. here is a great deal for $49.99 on our official team shoe. For sale at Academy. Congrats to our guys for pulling out win this afternoon to grab the Centex Attack Summer 17 Classic championship. Play Hard! Congrats to our guys for finishing 2nd at the PAC Stars and Stripes Shootout. Fall tryouts begin soon, keep your eyes and ears open for details coming soon. Congrats to our guys for pulling off the win in the 2017 Cedar Park Slam n Jam Tourney championship game vs San Antonio XTREME HEAT BASKETBALL! It is very common for young players to develop poor technique in their shot, because they are over compensating for not having the strength yet to get the ball to basket. One common development is pushing the elbow outward instead of keeping it underneath the ball, or shooting from behind the head. My approach is to not over emphasize pure mechanics at a young age, because a shot can be fine tuned later. I never want to become discouraging. Instead, I emphasize learning the discipline to take shots everyday (practice, practice, practice), and becoming a student of the game and one's own fundamentals development. In my opinion, in the end, practice and repetition can outweigh unorthodox shooting form: Vinnie Johnson, Larry Bird, and Lonzo Ball all come to mind. 1. Wide stance with bent knees, being ready to shoot. 2. Keep the elbow underneath the ball. This is still difficult, especially the further he gets away from the basket. We always start in close, and I do my best to keep him there :) . 3. His release alternates between a pushing the ball up, and properly releasing the ball off the fingertips. I emphasize this by asking him to 'flick' the ball, rather than push ... overdo the backspin. 4. Making sure his weak hand is used as a guide, not as part of the shot. To help with this, we use a shooting paddle. Perhaps one of the most pure jump shooters in modern basketball is Klay Thompson. Below is a great video that I've shared with my son as we work to repair some of the poor habits he has created. As Klay demonstrates ... the combination of form purity and practice repetition is the real sweet spot. At the Excel Longhorn Classic, we faced our first full court press, so I quickly called a timeout and began teaching a press break. Now, we know and we work on both applying the 1-3-1 full court and half court press and breaking it in every practice. For our players, the important part is to keep your head up, look down court and ''catch and pass" , dribbling more than 2-3 times allows the defense to catch up and get a steal.